William H. Macy‘s fully focused on getting a fresh start … around his house, now that Felicity Huffman‘s agreed to strike a plea deal. 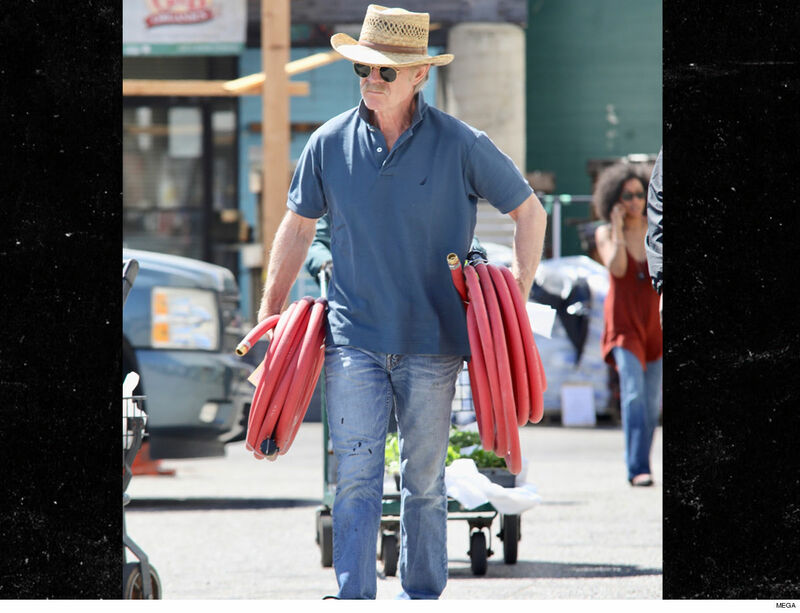 The actor was seen leaving an L.A. home improvement store Tuesday with a couple of brand new hoses in each hand. William looks to be in full-on dad mode to knock out some household chores — something he probably didn’t give a crap about while he and his wife weighed her legal options. As we reported … Felicity agreed to plead guilty for her role in the college admission scandal — in which she was accused of paying $ 15k to have her daughter’s SAT scores rigged. She pled guilty to conspiracy to commit mail fraud and honest services mail fraud. While her sentence will ultimately be up to a judge, prosecutors have recommended she get off relatively light … with around 4 months in prison. Felicity, however, is reserving her right to argue for 0 days behind bars. The judge will get the final call. Either way, Felicity has fully accepted responsibility for cheating the college system, and she apologized for it. She’s still feeling the fallout though … Netflix has shelved a rom-com she’s in that was set to come out later this month. Lori Loughlin, meanwhile, still hasn’t come to the plea deal table and just got slapped with more charges because of it. A federal grand jury indicted her Tuesday for money laundering — which could mean nearly 5 years in prison even if she cops a plea. Felicity’s deal is looking pretty sweet now.